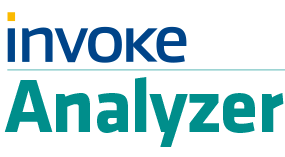 Enter a new era of Business Intelligence with Invoke Analyzer ! • COLLATE MASS VOLUMES OF DATA in multiple formats (XBRL, XML, ...) and centralise it into a state-of-the-art NoSQL storage system. • PERFORM ADVANCED ANALYSES on the centralized data: generate cross-period, cross-entity and cross-framework, dynamic reports! • GENERATE KPIs, table reports, charts and graphs on the fly, in full-web! Export your analyses to Excel or PDF. Founded in 2001, Invoke is a premier provider of cutting-edge regulatory reporting solutions dedicated to the Banking and Insurance sectors. With offices in London, Paris and Luxembourg, Invoke is the trusted XBRL technology partner for major national supervisory bodies across Europe, as well as for multinational groups in the banking and insurance sectors, who fall under the scope of complex regulatory imperatives. Aligning extensive XBRL and domain expertise with pragmatic business functionality, Invoke offers industry-endorsed regulatory reporting solutions that are robust, flexible and user-oriented.